First Beginneer’s Course of 2013 Completed! 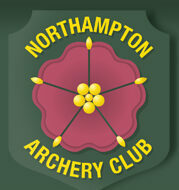 On Saturday 27th of July NAC held their first beginners course of 2013, which continued for a period of three Saturdays. At last the weather was settled and on our side throughout as we welcomed 15 beginners to the Sywell shooting range to embark on their archery training. 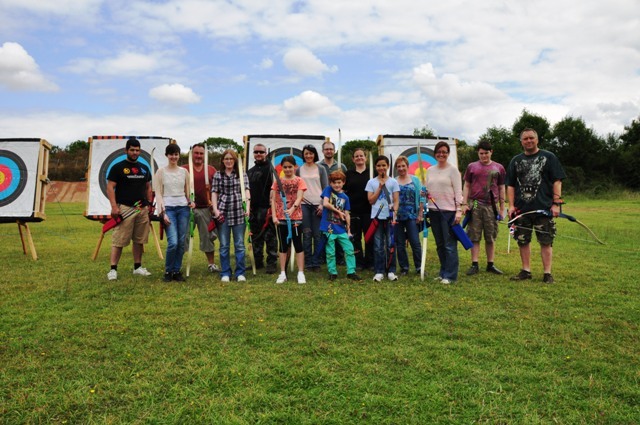 On Saturday the 10th of August I had the pleasure in issuing each of our beginners with a certificate of completion of an Archery beginner’s course. My gratitude goes out to Martin Ross, Jamie Mason and Paul Barrett for overseeing the training course, Pam for the organisation of the beginners and all the paper work involved and lastly Dave S, Jock, Dave Q, Ryan, Ian, Pete, Neil and Ronnie for taking time out from shooting to help instruct on the line. To each of the beginners who participated in our training course, we at NAC all wish you every enjoyment in your new sport. 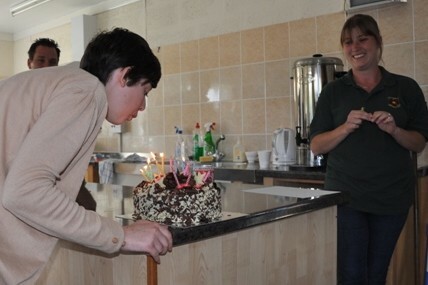 One last thing, someone had an 18th birthday during the course so we had to eat a bit of cake…………once the candles were blown out! !